This video is about Britain’s approach to assisting self-management with health care but if you put it into an education context then it has some good suggestions and recommendations which we could use in schools. If you provide students with good quality information so they can see a range of options in terms of their behaviour and choices and then increase their capacity to set good goals for themselves our job as teachers becomes that of mentor. We can help students to become realistic about moving forward. We can help show them what is blocking them from getting to where they want to be. We can provide some good digital resources so they can explore ideas and options for themselves. One good point the video makes is not to push people into change. It is a case of providing them with positive ideas and plentiful good quality resources which will bring bout light bulb moments. The video looks at how useful technology can be in doing this. There are so many sites, apps, safe online resources which can help students find out things for themselves in the safe context of school with an adult who can help set a non judgemental perspective. By doing it this way we would be assisting students to become confident, show initiative and independence. Categories: ACARA, Behaviour, Behaviour Management, general capabilities, personal and social capability, self-management, Year 10, Year 8 | Tags: ACARA, Australian national curriculum, personal and social capability, self-management, Year 10, Year 8 | Permalink. The personal and social capability is about enabling or blocking others. 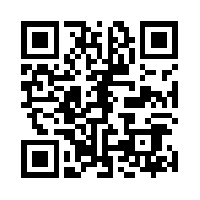 This is a very creative use of technology to help others see the error of their ways. Put your phone away. It’s not worth it. Categories: ACARA, Behaviour, Behaviour Management, general capabilities, personal and social capability, self-awareness, self-management, social awareness, social management, Wellbeing, Year 10, Year 8 | Tags: mobile phones, personal and social capability, personal awareness, personal management, safety, social awareness, social management | Permalink. The social capabilities are about understanding relationships and learning to communicate effectively. This video puts it all in perspective so you can keep the tech-life balance. Categories: ACARA, Behaviour, Behaviour Management, general capabilities, personal and social capability, social awareness, social management, Wellbeing | Tags: ACARA, Australian national curriculum, personal and social capability, social awareness, social management, technology, understanding relationships, Year 10, Year 8 | Permalink. In order to help change personal and social behaviour and achievement it is important to create a feedback loop where you enable decision making and get quality feedback. I have been trialling the ORID feedback and I have been impressed with the depth and quality of the feedback from students. Far superior to any other method. 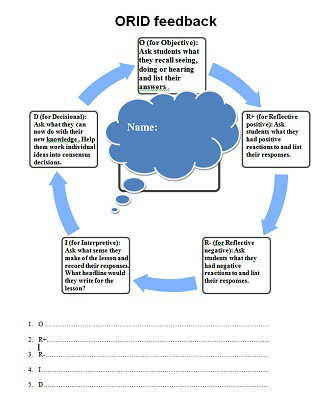 When you are teaching it is essential to engage students in a feedback loop. Create information and content, share it and then get feedback. That feedback loop is critical to providing better and more informed lessons where everyone is using technology and may be looking at content differently. So many people absorb information visually and so many people are using technology in a different way so each person’s strengths can become an asset in a classroom if you know what the strengths and learning gaps are. Getting good feedback means you have to have an organised and specific approach to getting ideas in a way that you can utilise them to construct better lessons. ORID is an evaluation tool which has some real strengths and which I have just reworked so it can be used in my classroom. I found out about it because it was in the recent newsletter from FacilitatorU. I have been subscribing to their emails for quite a few years now and they always come up with ideas which give me practical help to be a better teacher and to relate to my students in an effective way. Over the years their way of doing things has proven to be very effective when I have worked with groups. I used the life cycle chart from Microsoft Office to create my ORID feedback. Categories: ACARA, Behaviour, Behaviour Management, general capabilities, personal and social capability, self-awareness, self-management, social awareness, social management, Year 10, Year 8 | Tags: ACARA, feedback, ORID feedback, personal and social capability | Permalink. A powerful video which fits in well with the indicators of the social capability. It says what we all want to say in a way we couldn’t even think of saying it. Categories: ACARA, Behaviour, Behaviour Management, general capabilities, personal and social capability, social awareness, social management, Wellbeing | Tags: ACARA, Australian national curriculum, mobile phone use, mobile phones, personal and social capability | Permalink. 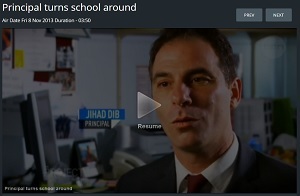 One of our TV current affairs programs, The Project featured a clip about Jihad Dib who had taken a western Sydney school and turned it right around. The clip takes about 3 minutes and in that time you can see how well Mr. Dib has put the Personal and Social Capabilities to work. You could have the assessment rubrics out and tick every box for him and you can look at this video and know this is what the Personal and Social Capability looks like in action. As Rita Pierson said in her TED talk – every kid needs a champion and the Personal and Social Capability offers us a way of championing students in a very comprehensive and life changing way. Categories: ACARA, aitsl, Behaviour, general capabilities, Leadership, personal and social capability, self-awareness, self-management, social awareness, social management, Wellbeing | Tags: ACARA, aitsl, Australian national curriculum, education, leadership, performance standards, personal and social capability | Permalink.